Each day after I shower, wait let me rephrase – each day IF I shower, Zach spends that time in his travel swing in the bathroom. He begins fully in the bathroom while I am getting clean, then moves to the doorway while I do my makeup and put in my contacts, and then moves totally out of the doorway, but still in my eyesight, in front of the door while I blow dry my hair. And how that boy loves to watch me dry my hair. He is mesmerized by the sound of the dryer and my big, black brush sweeping about my head. No matter how long it takes, he will watch me in silence, his eyes following my every move. So it got me thinking, what if he is destined to be the next Vidal Sassoon? I personally am pretty good with hair, I grew up telling my sister how to do her hair and then if she was not doing it correctly, taking over the task for her. I can recreate most updos and love the smell of curlers starting up. It was a family joke that if I could not hack it at UT (which was a real possibility after my first semester freshman year) I would return to Denton and open Kinsey’s Kut and Kurl. I can still picture the sign; it would be a giant scrolling K starting all the words, with the rest of the title ‘insey’s, ‘ut’ and ‘ ‘url’ stacked one on top of the other. Beautiful. 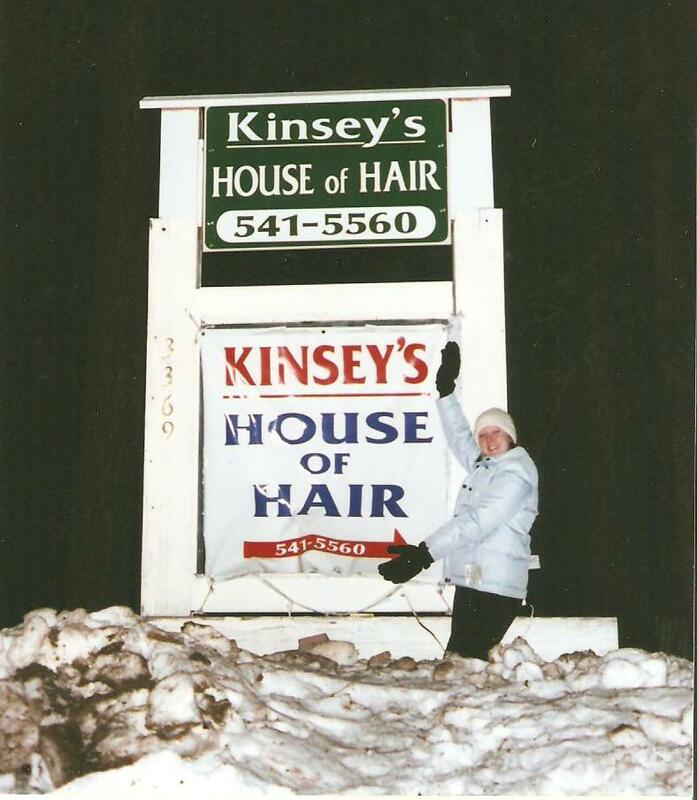 On a ski trip in 2003 I actually stumbled upon another Kinsey who apparently could not make it at her college and opened Kinsey’s House of Hair in Lake Tahoe. I am still sad I never got to meet her. While I realize Zach most likely is just drawn to the white noise of the blow dryer and his staring at me is actually nothing new. His hobby at the moment seems to be playing, and winning, the staring game. But if he were to get my proclivity for hair styling I personally would be thrilled. It is about time someone else in this family learns how to French braid…. I always wished I could french braid. Plus you know when I get around to having little hooligans of my own they’ll be needing some serious hair help!